One of the key ways that family members learn to resolve conflicts and see another’s point of view is through empathy. One of the earliest pathways through which children learn empathy is by imaginatively entering the lives of characters in books. However, research tells us that there are different forms of empathy, only some of which assist supportive connection to others. We will explore ways to use storytelling in family life, both with client families and in our own families. Research has shown that certain kinds of narrative forms support child and adolescent development better than others. Based on these insights, we look at how we can help parents and grandparents share narratives in the form most likely to foster resilience in their children and grandchildren. A variety of story-making tools will be presented, including genograms, to explore political stories, stories of adversity, and end of life stories. The work will be supported by research, clinical evidence, and videos of the presenter’s grandchildren responding to books. 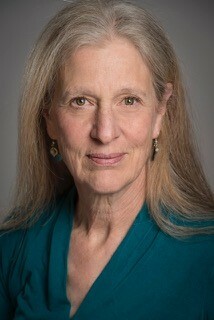 Kaethe Weingarten, Ph.D, is founder and director of The Witnessing Project, a nonprofit organization that consults to individuals, families, and communities locally, nationally, and internationally to transform toxic witnessing of violence and violation to active compassionate witnessing with others. Dr. Weingarten was an Associate Clinical Professor of Psychology in the Harvard Medical School Department of Psychiatry from 1981-2017 and a faculty member of the Family Institute of Cambridge where she founded and directed the Program in Families, Trauma and Resilience. She has published six books and is the author of over 100 articles and essays. In 2002, she received the award for Distinguished Contribution to Family Theory and Practice from the American Family Therapy Academy. In 2004, her book, Common Shock: Witnessing Violence Every Day- How We Are Harmed, How We Can Heal won the Nautilus Award for Social Change. Since moving to Berkeley in 2013, she and her collaborator have been awarded two grants for their choreography with elder dancers applying a witnessing model in public spaces.